Erisman's book, Alibaba’s World is an inside account of how Jack Ma, a schoolteacher with no business training, built Alibaba into the world’s largest e-commerce company with more sales than eBay and Amazon combined. 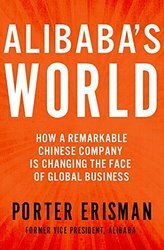 Alibaba’s World was selected by Publisher’s Weekly as one of the Top Ten business book releases in 2015. Alibaba's world was recently selected as one of the best business books of 2015 by the Wall Street journal. 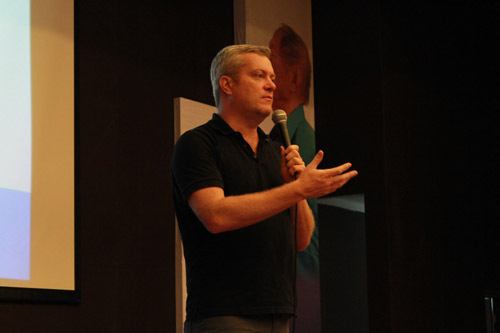 After leaving Alibaba, Erisman produced and directed Crocodile in the Yangtze, an independent documentary film about his experience inside the company. The film screened at twenty film festivals worldwide garnering several awards including “Best Documentary” at the San Francisco United Film Festival and “Best Film on Entrepreneurship” at the Silicon Valley Film Festival. From 2012 to 2014, Erisman traveled with the film to sixty screenings on six continents before selling the film to Bloomberg Television, which broadcast Crocodile in the Yangtze throughout the fall of 2014. Erisman has spoken at conferences around the world and has been featured in leading media including The New York Times, Wall Street Journal, CNBC, Bloomberg, NPR and the BBC. Erisman received a B.A. in Political Science from Stanford University and an MBA from the Kellogg Graduate School of Management. Additional studies include courses at the Beijing Language University, the New York Film Academy, and the Culinary Institute of America. In September 2014, a Chinese company that most Americans had never heard of held the largest IPO in history - bigger than Google, Facebook and Twitter combined. Alibaba, now the world's largest e-commerce company, mostly escaped Western notice for over ten years, while building a customer base more than twice the size of Amazon's, and handling the bulk of e-commerce transactions in China. How did it happen? And what was it like to be along for such a revolutionary ride? In Alibaba's World, author Porter Erisman, one of Alibaba's first Western employees and its head of international marketing from 2000 to 2008, shows how Jack Ma, a Chinese schoolteacher who twice failed his college entrance exams, rose from obscurity to found Alibaba and lead it from struggling startup to the world's most dominant e-commerce player. He shares stories of weathering the dotcom crash, facing down eBay and Google, negotiating with the unpredictable Chinese government, and enduring the misguided advice of foreign experts, all to build the behemoth that's poised to sweep the ecommerce world today. And he analyzes Alibaba's role as a harbinger of the new global business landscape--with its focus on the East rather than the West, emerging markets over developed ones, and the nimble entrepreneur over the industry titan. As we face this near future, the story of Alibaba--and its inevitable descendants--is both essential and instructive.